Here’s the handy dandy link to follow along through all of the posts. I’ll reblog a bunch of them on this site, too. Unable to find a moral or sane reason for the horror that surrounds him, he is overwhelmed by violence and insignificance. Then Jonah comes across a group of survivors living in a museum-turned-compound. 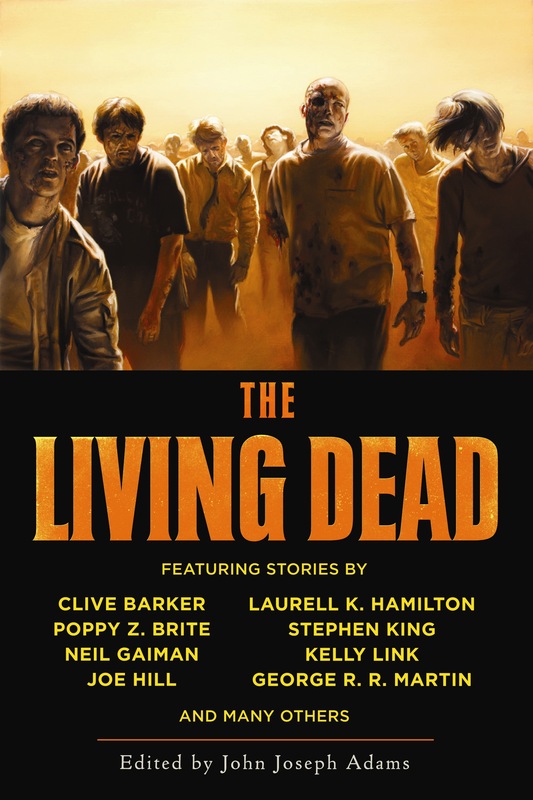 They are led by Jack, an ever-practical and efficient military man; and Milton, a mysterious prophet who holds a strange power over the dead. Both share Jonah’s anguish over the brutality of their world as well as his hope for its beauty. Together with others, they build a community that reestablishes an island of order and humanity surrounded by relentless ghouls. 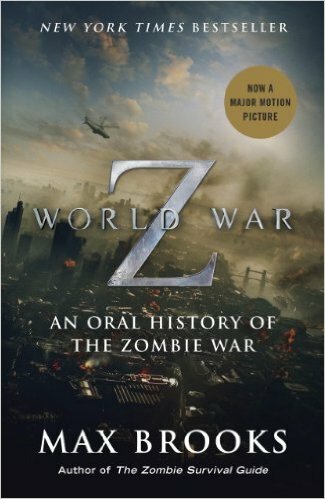 But this newfound peace is short-lived, as Jonah and his band of refugees clash with another group of survivors who remind them that the undead are not the only—nor the most grotesque—horrors they must face. And when civilization fell, one international team of supremely elite special operators was being assembled for a nearly impossible mission, deployed out of the SAS barracks at Hereford. Supremely trained and armed, always the most skilled, resolved, and unstoppable amongst us, now the commandos of Alpha team are humanity’s last best hope for survival. 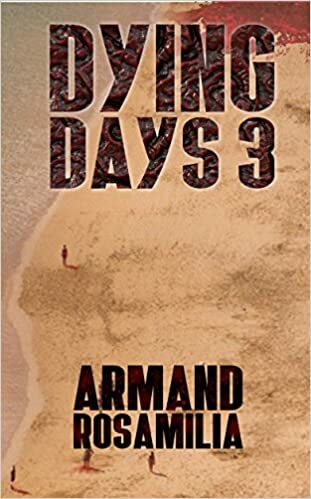 Searching through the detritus of fallen Europe, scavenging pharmaceutical labs for clues to a vaccine that might bring humanity back from the brink, now they are tasked with one last desperate operation. A massive solar storm erases the world’s technological infrastructure and kills billions. While the remaining humans are struggling to adapt and survive, they notice that some among them have…changed. Rachel Wheeler finds herself alone in the city, where violent survivors known as “Zapheads” roam the streets, killing and destroying. 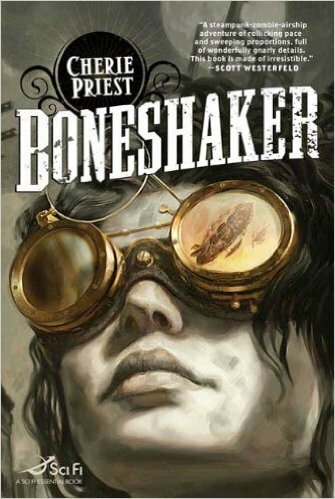 Her only hope is to reach the mountains, where her grandfather, a legendary survivalist, established a compound in preparation for Doomsday. Other survivors are fleeing the city, but Zapheads aren’t the only danger. Rogue bands of military soldiers want to impose their own order in the crumbling ruins of civilization. When Rachel discovers a 10-year-old boy, she vows to care for him even at the risk of her own life. Look for the rest of the AFTER series: The Echo, Milepost 291, Whiteout, Red Scare, and Dying Light, as well as the NEXT and ZAPHEADS series. 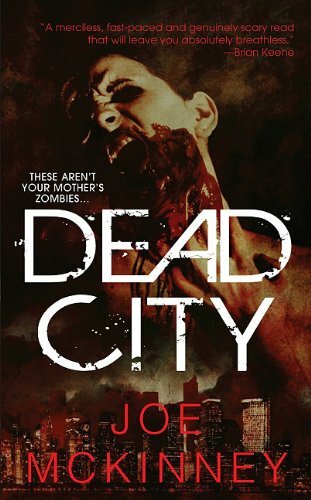 Beheading a zombie isn’t easy in a world where you’re more afraid of the living than the dead. 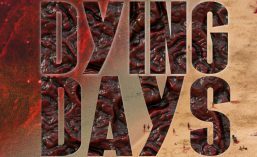 Adrian Ring’s simple life is thrown into chaos when the world is ripped apart by a plague of undead and legions of desperate survivors. 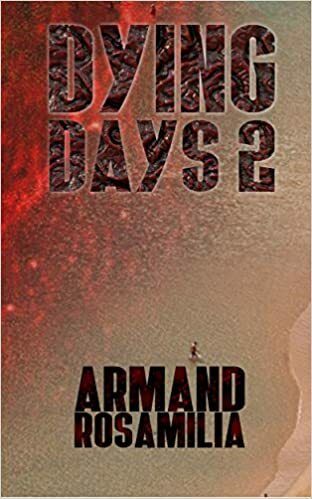 Retreating to Auburn Lake Preparatory Academy, Adrian attempts to rescue friends and family on the way while dancing around his impending insanity over who and what he left behind, and evading maniac survivors. He saves his cat Otis, but shoots his mom. Pretty successful, all things considered. Dark Recollections is the first part of Adrian’s own story of how he survived after “That Day.” Told through his eyes as he talks to his laptop, affectionately named ‘Mr. 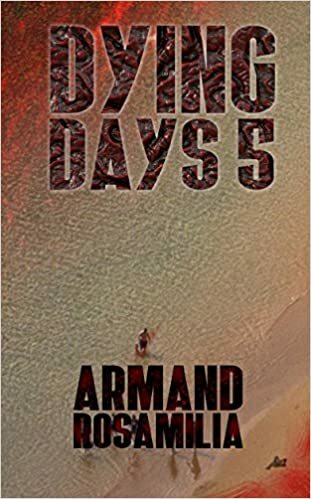 Journal,” and through short stories that entwine with his tales that bring forth dark visions of a world being eaten alive by an unimaginable evil. 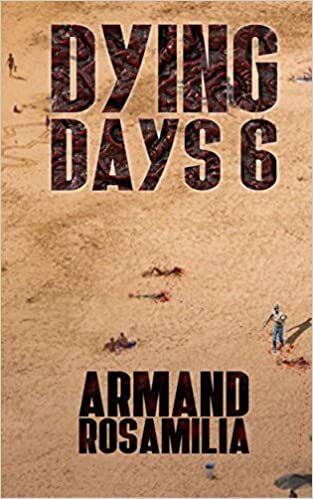 Adrian’s Undead Diary is an eight part epic about a solitary, guilt stricken man that didn’t think he deserved to live, but realizes very soon that he survived, and suffered for a reason. The world is thrust into darkness and silence, but no one knows why. Molly is an English professor at a local liberal arts college when the world suddenly goes dark. Her husband, Gary, is a corporate pilot on the other side of the country. Grounded by what appears to be a catastrophic power outage, he has no way to communicate with his wife, let alone get home to her. Not knowing whether her husband is alive or dead, Molly struggles to adapt to her new environment: without power, running water, transportation, a stable food supply, or any long-distance means of communication. Without knowing the cause of the outage, Gary must decide whether to wait for things to go back to normal, or to make the long and dangerous journey home on foot. Both must learn to survive after the Blackout. The classic that helped start a pop culture phenomenon – back in print and UNCUT! Since it’s 2003 debut, Brian Keene’s THE RISING is one of the best-selling zombie novels of all-time. It has been translated into over a dozen languages, inspired the works of other authors and filmmakers, and has become a cultural touchstone for an entire generation of horror fans. THE RISING is the story of Jim Thurmond, a determined father battling his way across a post-apocalyptic zombie landscape, to find his young son. 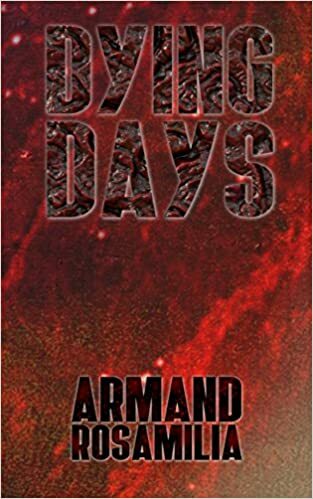 Accompanied by Martin, a preacher still holding to his faith, and Frankie, a recovering heroin addict with an indomitable will to survive, Jim travels from state to state and town to town, facing an endless onslaught of undead hordes, and the evils perpetrated by his fellow man. This brand-new, author’s preferred edition, restores nearly 30,000 words of material that was cut from the original edition. These new chapters, which have never been seen by anyone before now, expand the original story, adding new depths to characters and more horrific situations. 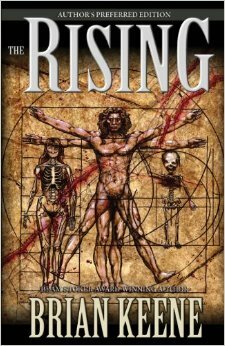 You may think you’ve read THE RISING, but you haven’t read it all until you read this edition! Deadite Press is proud to present this uncut, author’s preferred edition, which also includes a lengthy essay by the author about the novel’s genesis and history.